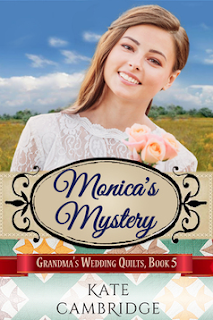 In Monica's Mystery, book #5 in the Grandma's Wedding Quilts series, a quilt, amateur sleuth (Monica), and a very handsome Texas Ranger come together with humor, mystery, and a whole lot of tension thrown in. 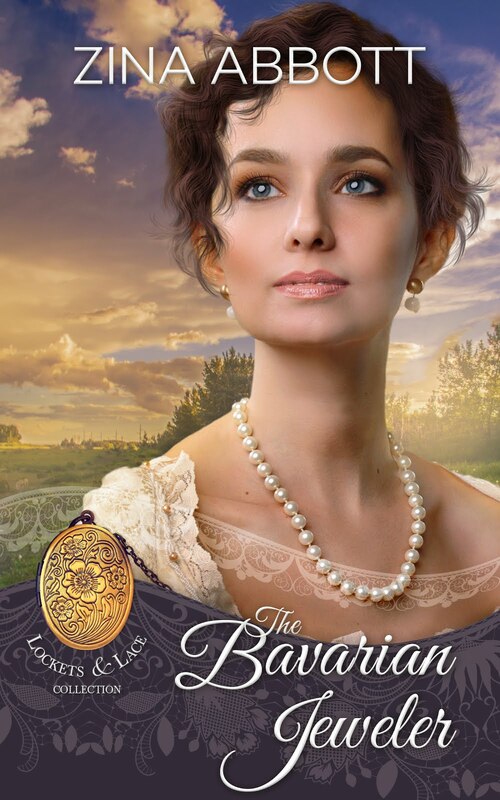 If you're familiar with my books, you know that there is always a strong female character leading the way, and often stumbling into romance, even when it is the last thing she's looking for. Here's a photo of the quilt Grandma Mary quilted for Monica in the story. Although I am not personally familiar with quilting, I have a great deal of admiration for the women who have quilted beautiful blankets for family and friends, passed on to bring warmth and cheer to generation after generation. My grandmother crocheted blankets for each person in our family, and then their children, and although I do not have a quilt, I have beautiful crocheted blankets that warm my heart and remind me of her strength and love every time I see them and use them. When the incredible authors in the Grandma's Wedding Quilts series came together to write this intriguing and beautiful series of books, the story premise resonated with me, and truthfully, I jumped with joy at the opportunity to be part of it. Now that I am, I can't imagine a more wonderful group of women to collaborate with; I'm grateful. 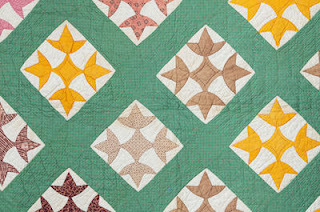 Please scroll below to check out the previous blog posts written by other authors in this series, each providing a sneak peek into their story, and the quilt Grandma lovingly made for the wedding of each of her grandchildren. Each story is wonderfully unique, weaving the history of grandma's quilts and influence into each of the lives she touched. You won't want to miss even one. Do you have something special that your grandmother made and handed down to you? If so, we would LOVE to hear about it in the comments! We have a fun Facebook contest that is coming with some great giveaways, and we hope you will join us for that. Stay tuned to the Sweet Americana Sweetheart blog for more updates, sneak peeks, announcements, and giveaways! What will happen when she visits her best friend in Texas, only to find herself face-to-face with a handsome Texas Ranger, and knee-deep meddling in territory she has no idea how to navigate? Visit my website to sign up for the launch notification list, and let's connect on Facebook, too! Stay tuned right here for more updates on the Grandma's Wedding Quilts series. Sounds like a great story and a rather precocious (for her time) heroine! Sharing!